Two new instructors are now helping Mercy Corps Northwest with that mission. Karen Spencer and Bobbie Stewart teach Business Foundations, a six-week class that provides training to new and existing small business owners. The curriculum includes financial analysis, competition/market assessment, focus group feedback, concept pitch coaching, and marketing planning. Classes are taught downtown and throughout the metropolitan area. 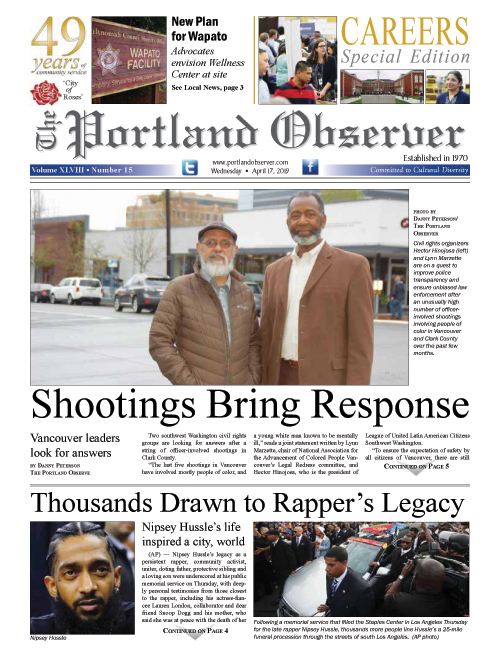 Working with Prosper Portland, the city’s economic development agency, Mercy Corps Northwest has also secured funds to provide thousands of dollars in scholarships to entrepreneurs of color to attend the class. Spencer brings over 25 years of business and legal experience, having worked at Nike, Inc., as the founder and leader of their Intellectual Property Transactions & Licensing function. She is a 2011 recipient of the Portland Business Journal’s Orchid Award, for achievement as a Women of Influence. After earning a degree in chemical engineering at the Massachusetts Institute of Technology, she earned a master’s degree in management from Stanford University and a law degree from Harvard Law School. Stewart brings a strong entrepreneurial background to her students as the founder and CEO of two Oregon-based businesses, in addition to serving as an independent business consultant, a business coach and an instructor at the SBA’s Small Business Development Center. She has counseled and advised over 100 small businesses during her career and believes “the pursuit of happiness is doing what you love even when it puts the spotlight on someone else” Bobbie has chosen creating, developing and launching small businesses as her career; teaching and mentoring as her passion. She has been an entrepreneur since the age of 16. Bobbie graduated from Concordia University with a BA in Business Administration. In addition to small business education, Mercy Corps Northwest offers a matched savings grant program for aspiring or existing small business owners. The grant matches $5,000 in grant funds to $1,000 in savings for lower income, lower net worth entrepreneurs. Mercy Corps NW also offers small business loans, ranging from $500 - $50,000, with competitive terms and interest rates. A special incubator loan is being offered to Foundations class graduates or IDA participants, allowing participants to be pre-approved for a $1,000 - $2,500 loan to help get their business started, while also improving their credit standing. To learn more about and apply for small business grants, loans, and training opportunities for entrepreneurs visit mercycorpsnw.org.